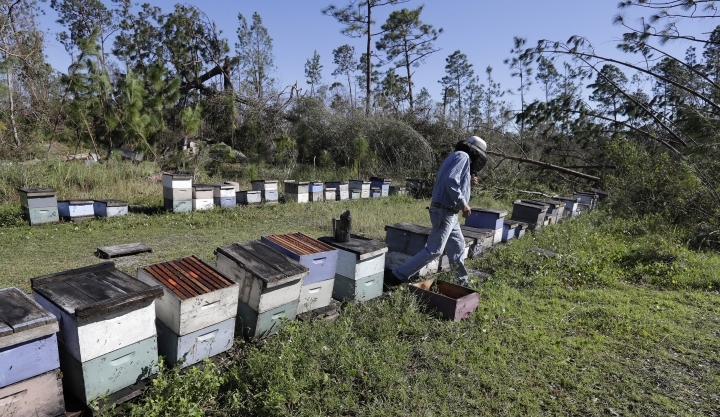 MIAMI — Hurricane Michael toppled beehives and stripped flowering plants across Florida's Panhandle, threatening tupelo honey production in a tiny community that is the primary source of the sweet delicacy. 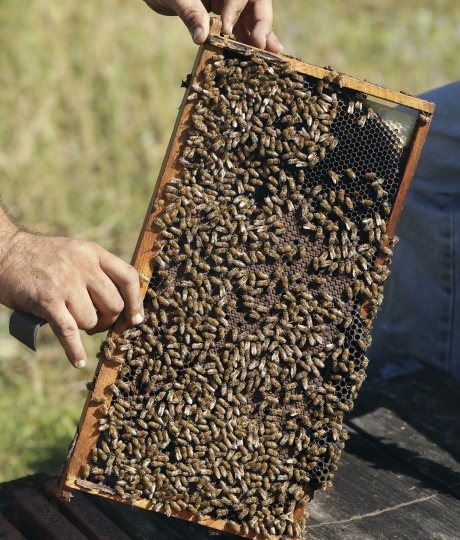 "Just feeding my bees is the biggest concern," said Gary Adkison, a Wewahitchka beekeeper. "There's no nectar." 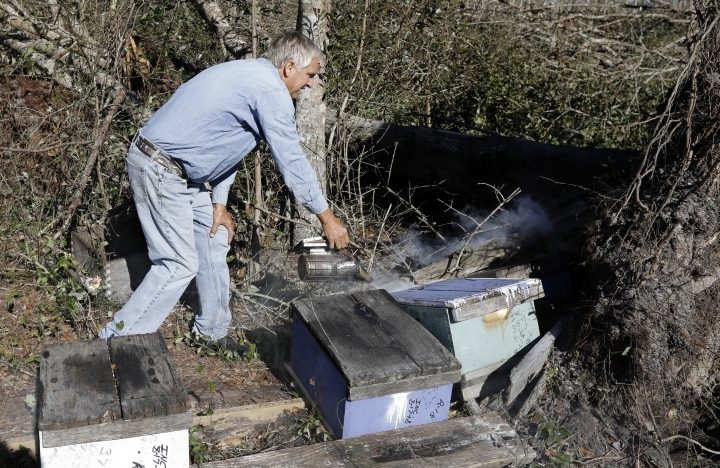 Adkison, who named his Blue-Eyed Girl Honey for his granddaughter, lost about 50 of his 150 hives to the storm, each containing 30,000 to 40,000 bees. Unlike other beekeepers who move their colonies to pollinate crops as far away as California, Adkison keeps his hives local year-round. 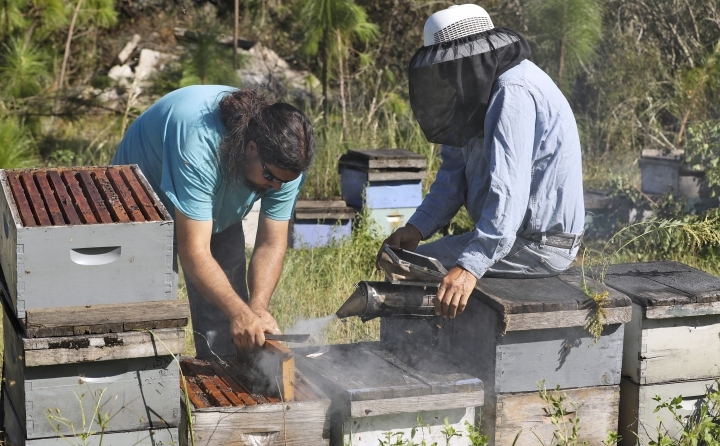 About 500 beekeepers are registered in Florida's Panhandle, with more than 1.2 billion bees in their colonies, according to the University of Florida's Institute of Food and Agricultural Sciences. They range from hobbyists to mom-and-pop businesses to large commercial operations. Although Florida also produces honey from orange blossoms, gallberries and wildflowers, the honey from white tupelo gum trees ranks highest in price and flavor. The trees grow in remote swamps in northwestern Florida and southern Georgia, but are most profuse along the Apalachicola River in Florida's Gulf County. The heart of tupelo honey production is Wewahitchka, a one-stoplight town about 15 miles (25 kilometers) inland from where Michael made landfall Oct. 10 with 155-mph (250-kph) winds. "Everybody has a jar of it on their kitchen table," Adkison said. Now, he added, everyone worries how Michael would affect the star of the annual Tupelo Honey Festival, which draws thousands of people in May. Van Morrison's song about a girl "as sweet as tupelo honey, just like honey from the bee" captures its distinct nature: True tupelo honey is bottled more or less straight from the hive, without heating or blending with other honeys. It does not crystalize, remaining a smooth, golden liquid. "It's got a fruity, floral burst of flavor," said Brian Bertonneau, owner of Wewahitchka-based Smiley Honey. "It's just a happy dance in your mouth." The trees bloom for only three weeks starting in mid-April. 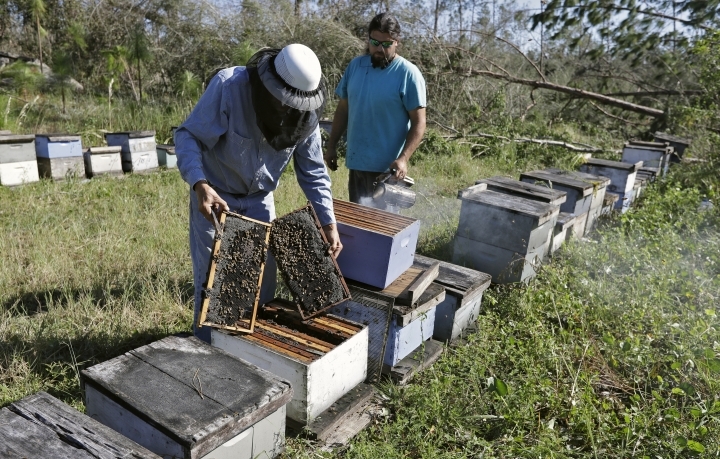 Beekeepers and business owners like Bertonneau, whose operations shut down without electricity or internet access after Michael, are anxious to find out what kind of spring harvest they should expect. "The blossoms are so fragile, they're like little snowballs," Bertonneau said. "A heavy wind or rain will knock them off the tree." 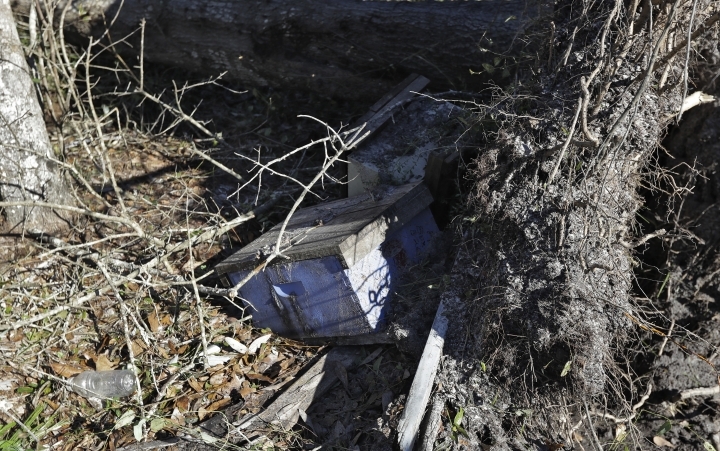 Michael's toll on tupelos is as yet unclear because the trees are difficult to reach except by barge and considerable debris remains to be cleared. David Westervelt, a state apiary inspection supervisor, said damaged trees might take two or three years to start blooming again. "We haven't ever had a storm hit like that, so we don't really know," Westervelt said. The 2018 harvest was especially rich in flavor, though not particularly high in volume, beekeepers said. Westervelt estimated not quite 1 million pounds (0.45 million kilograms) of tupelo honey were produced last year, selling for about $6 and up per pound. 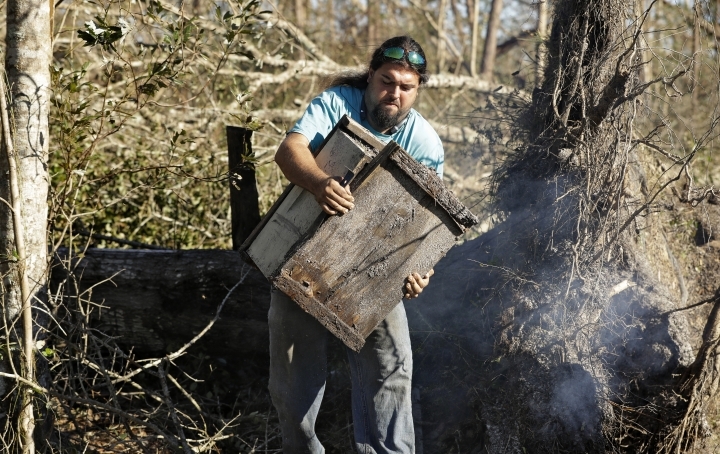 Two days after Michael made landfall, an Associated Press photographer found Ben Lanier tending to his hives in spite of fallen trees and other debris in Wewahitchka bee yards kept in his family for three generations. L.L. 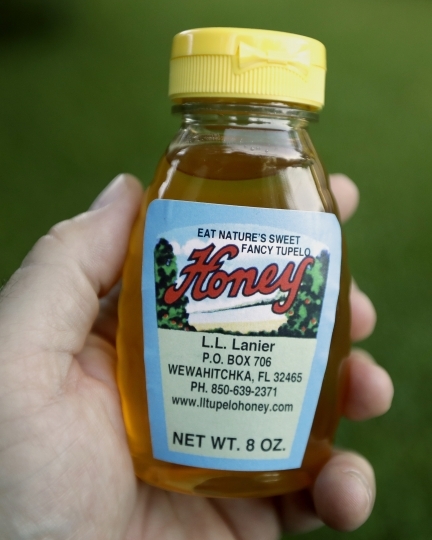 Lanier and Sons Tupelo Honey has been in business since the 1890s, and in a Facebook post Thursday, Lanier and his wife said the hurricane would not shut them down. "The bees were all over the place and our house is almost a total loss," the post said. "It has been very hard to get generators and gas, but one way or the other we will get back in business." Adkison said all he could do was focus on feeding his surviving bees. "We are small-time," he said. "If we have a bad year, I'll just have to take care of my bees and wait until the next year."